Corrie lived in a small town in Northwest Ohio before moving to Indianapolis in January of 1999. She came to Indy looking for opportunity and found so much more! Corrie has lived in, and traveled to, many big cities and small towns from coast to coast and found that the people and energy of this city is exactly what she needs to fulfill her dream of living an urban lifestyle and raising a family in the heart of a big city. 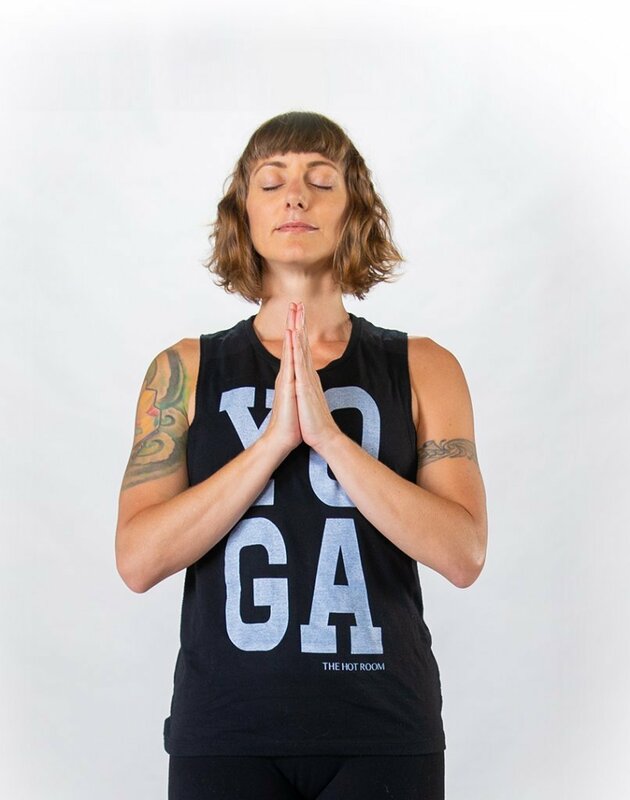 Corrie has been in the Indianapolis yoga community since 2003 (as a student; teacher since 2009) and when she heard there was a studio opening that focused on the Original Hot Yoga method, she could not wait to try it out! All of them! This is a hard question to answer because it varies based on what I feel I need to focus on both physically and mentally/emotionally. I love how camel challenges my fears, how standing bow challenges my resilience, how all of the compression postures strengthen my core without doing a single sit-up, and how handstand makes me believe I can do anything I put my mind to! . I love gardening and landscaping my home downtown, riding my bike through the city with my young daughter, feeding and watching the birds and squirrels out my window, and when I have time I love watching movies at home and getting involved in fine arts and performing arts.